Needless pain and suffering occur when we fail to learn from mistakes made in the past. This is true both individually and collectively and as I view what is presently happening in the world and the church I am struck by the many similarities between our day and that of Nazi Germany. While researching this subject I came across an article by Brannon Howse which lists these similarities much better than I ever could. You may click on the title link to read the complete article. In 1935, under Hitler’s rule, prayers ceased to be obligatory in schools. In 1962, The U.S. Supreme Court outlawed school prayer. By 1938, all private schools were abolished by Hitler and all education placed under Nazi control. There is constant pressure from federal and many state education authorities to require that Christian schools use state-mandated, humanistic textbooks. The Home School Legal Defense Association is fighting numerous battles at any given time to prevent parents from loosing the right to educate their children as they see fit. In August 2008, a federal district court ruled that the state of California university system may choose not to recognize the diplomas-and thereby deny college entrance to-students who attended a school using textbooks that express a Biblical worldview in the areas of history and science (i.e., Christian schools). The following exert is from “Three World Wars” and the chart they have prepared goes into even greater detail regarding recent significant events that compare to World War II. “From 1933-1939, Hitler steadily, gradually, changed law after law, rule after rule, and definition after definition, so he could impose his internal dictatorship; however, he took such tiny steps over this period of time that he did not raise the ire of his opposition. 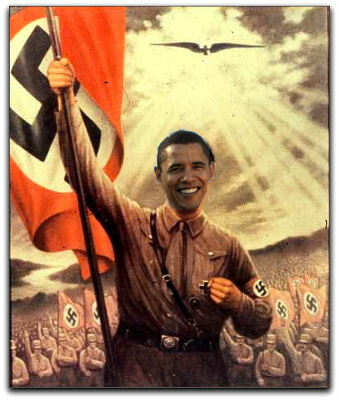 Only after he had legalized every act he wanted to carry out did he begin his world war and his internal genocide. Click here for comparison chart. The Bible is filled with examples of what happens to a society that rejects God and His Word. It always starts slowly with seemingly insignificant things and before long people are no longer able to tell the difference between good and evil; darkness and light. Apathy truly is the glove into which evil slips its hand. While the vast majority of the church in Germany was asleep, dark forces of evil made steady and sure advancements. The very same thing is happening today and if we do not wake up to this fact we will be found guilty of repeating history’s mistakes. Yet even now, God is still looking for Christians who will stand in the gap in prayer and repentance on behalf of their nation. Any volunteers?